Blake Shelton is apparently putting his support behind Donald Trump this election, but he doesn't exactly sound thrilled about the idea. 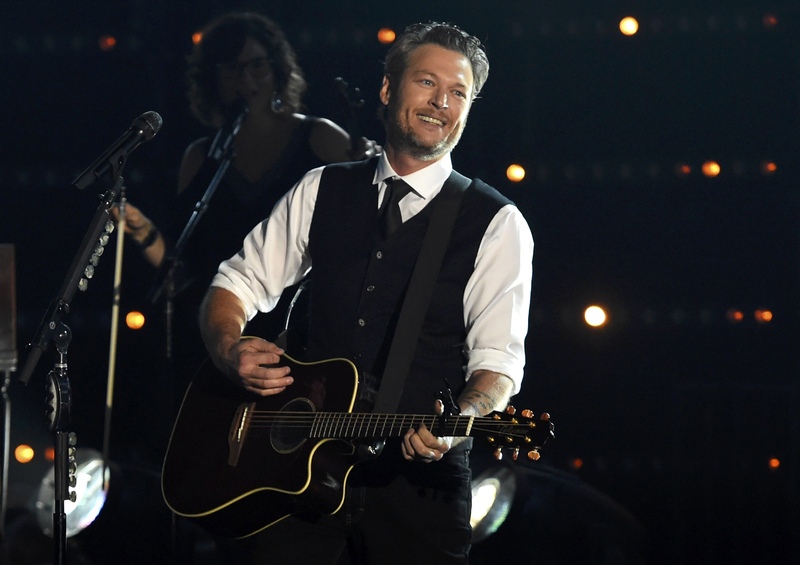 While talking to Billboard in an extensive interview, the "Voice" coach was pressed on the presidential election, as a Tea Party website had recently asserted that Shelton was backing Trump. But when asked directly if he's supporting the GOP nominee, Shelton was a bit more cagey. "I'm not going to have the political conversation with you about Trump, or about Hillary Clinton, but I will tell you this: Whether you love him or hate him, he says what he thinks, and he has proven that you don't always have to be so afraid," Shelton said. "A lot of people are pulling for him, no matter how much Hollywood fights it," he said. "I see people who don't like him go and beat up people that do like him. You tell me, who's crazy here?" As for how he'll vote, Shelton makes an endorsement for Trump that sounds more resigned than robust. "I probably wish there was another option, but there's not," he said. UPDATE: Shelton apparently got wind of how his words on the election are being received, and he decided to clear a few things up -- in his own way.